An easy to hold and play bright sounding jingle bell. Good for group play and for jingling by yourself. 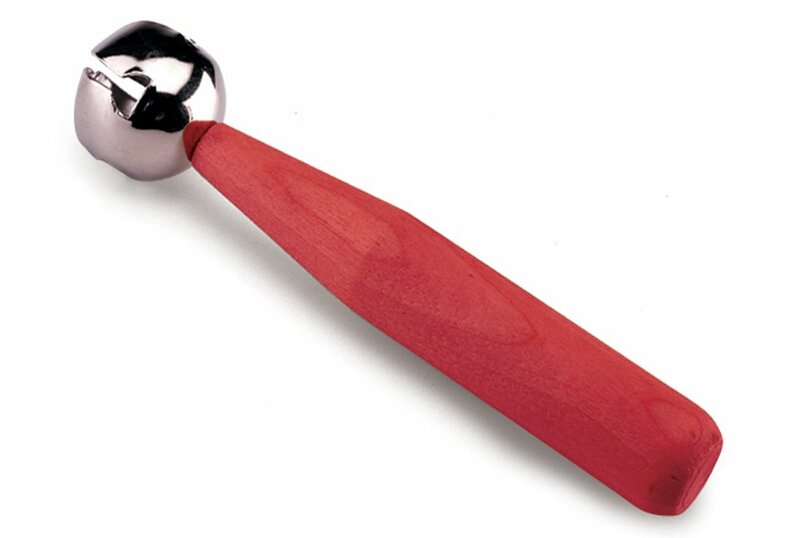 The handle is a USA hardwood painted with a non-toxic safe red stain. Includes songs and activities to play along with and safe for ages +3 years.